Pictured is a rare variety of Icicle Buttonwood that looks pretty when frozen but dies immediately. I understand this tree survived though I can’t imagine why. 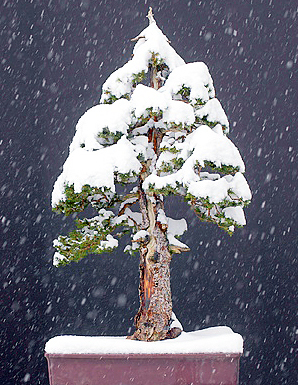 Click HERE to download the November TWIG newsletter of the Mohawk Hudson Bonsai Society. Our next meeting is November 23 (a bit earlier thanks to Thanksgiving) and PFM Bonsai will hold an open workshop all day from 9am to 5pm. Members and guests (and that means first time visitors) can stop by any time during the workshop to work on trees, get advice, learn about MHBS and bonsai gardening, or just meet some nice people. It’s also a great time to share tips and get advice on the always sticky subject of wintering trees. See you there. 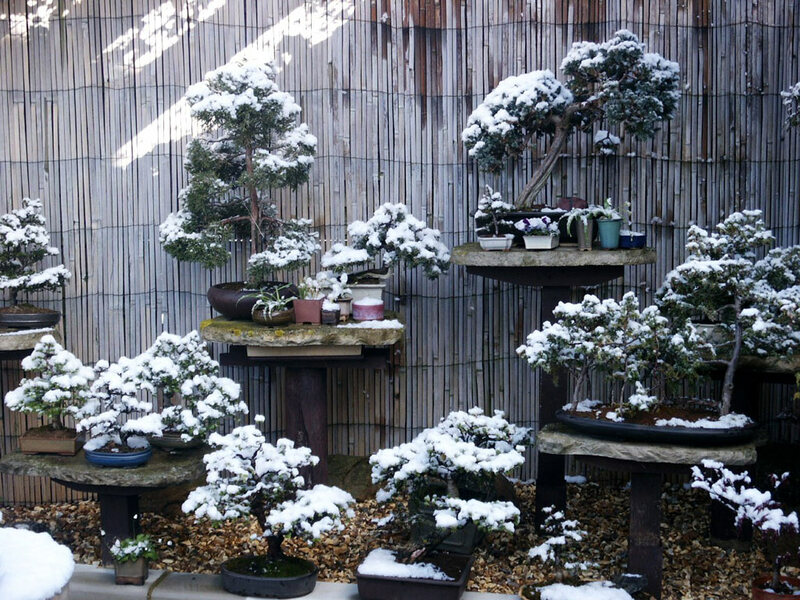 The November 24 meeting of MHBS, at PFM Bonsai in West Charlton, will include a WINTER STORAGE ROUND TABLE. Join a spirited discussion and learn techniques for getting your trees through this challenging season safe and sound. 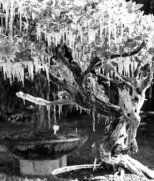 Share lunch and show off of your bonsai at noon, with a meeting and program to follow. As always, non-members are more than welcome to join us for this meeting. If you are curious about the club, just getting into bonsai or looking for some face-time fellowship, don’t be shy. Directions to the meeting can be found HERE. The December TWIG, official newsletter of the Mohawk Hudson Bonsai Society, contains photos from our group design session at November’s meeting, news about upcoming events and next spring’s Mid Atlantic Bonsai Society event, and great info from Pauline on wintering trees. Whether you're a Bonsai beginner or experienced artist, we welcome you to attend one of our meetings or events. The club offers instruction for beginners to advanced students and hosts frequent guest Bonsai masters conducting workshops and demonstrations. MHBS meets on the last Sunday of each month at 12:00 Noon, January through November (dates vary with Holidays). Meetings are held either at the Albany Cooperative Extension, corner of Route 85A and Martin Road in Voorheesville NY, or at PFM Bonsai in West Charlton NY. For more information call (518) 882-1039.